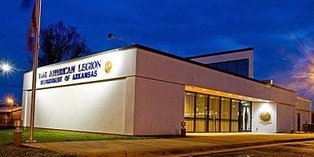 (501) 375-1104, or visit the American Legion Department of Arkansas Website at: www.arlegion.org. Committeeman. Other areas of service include Department Chairman of Internal Affairs and the Legislative Chairman. He is also a member of the Department’s Activities Committee and has served on the Children and Youth Committee. In 2016-2017, Commander Kinsey was the Department’s Southwest Area ViceCommander. Freemasonry. R.D. Kinsey served over forty-years as a Freemason. He served in numerous offices including the Worshipful Master of two Masonic Lodges and a Worthy Patron for an Eastern Star Chapter. For ten years he served as the National District Grand Master for the Gulf Coast Jurisdiction of International F. & A.M.M., covering the states of Arkansas, Louisiana, Mississippi, Oklahoma and Texas. During his tenure the Gulf Coast experienced an increase in membership of well over 100%. In 1992 he was bestowed the last and highest degree of Masonry, the 33rd Degree of Inspector General by the United Supreme Council of Ancient & Accepted Scottish Rite of Freemasonry, and he remains an active member to date. Community Servant. A Sherwood, AR resident since 1986, Kinsey is a member of the City of Sherwood Civil Service Commission and is the founding president of the Sherwood Citizens Police Academy Alumni Association. He serves on several other boards and committees. Personal. R.D. has been married for 33 years to the love of his life, Dianna L. Kinsey, a retired assistant dean of the UALR Bowen School of Law. She presently serves as Unit 74’s president. They have two daughters both of whom graduated from the UA Fayetteville. Their oldest daughter is an MSW with the VA. The youngest daughter is employed by a national company in their management trainee program and is based in Northwest Arkansas. Both daughters are active members in Auxiliary Unit 74. They are proud grandparents of two grandsons. Goal: To continue strengthening the Department by increasing the lines of communication stabilizing and increasing membership as we move toward our 2019 Centennial Celebration.